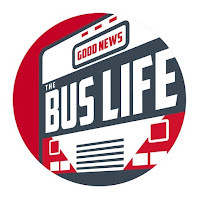 Since the creation of the Good News Bus we have been contacted by many TV Production Networks, Magazines, Podcasters, and viral internet sites all wanting to feature the Good News Bus in their publications. 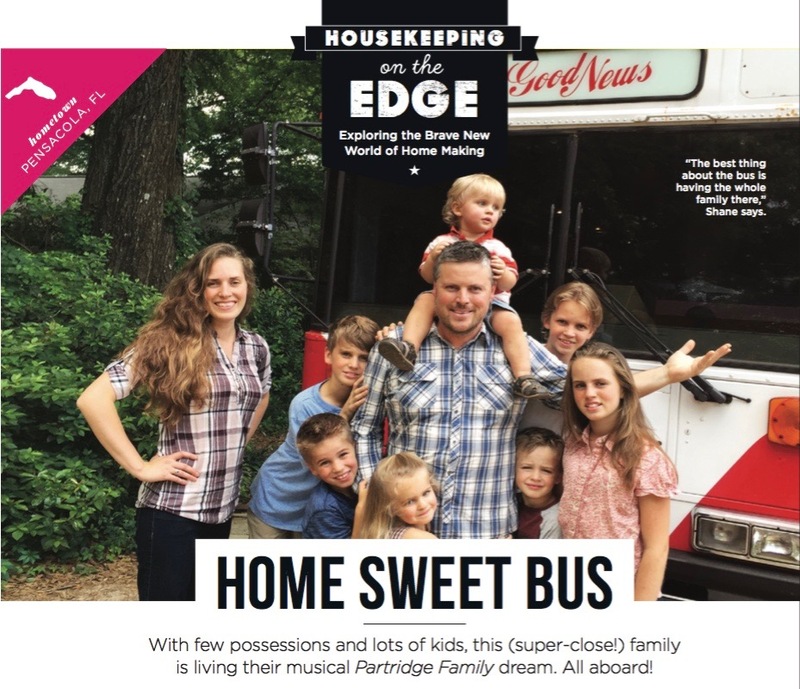 In May of 2016 we were contacted by Cory Stieg, Assistant Editor at Good Housekeeping Magazine to ask if we would be interested in being featured in an article about our life on our bus. We of course jumped at the opportunity. A few days later we had an interview with Cory via Skype. The rest is all history. In August of 2016 the article about the Good family (Shane, Julie, Isaiah, Arwen, Ashton, Ethan, Elisha, Kiera, Seth) and the Good News Bus was featured in a full page article listed under Good Housekeeping section titled "Living on the Edge". 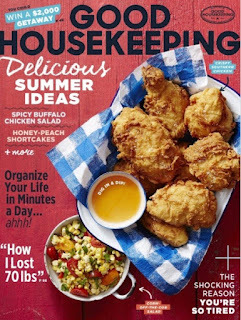 The following is a video of the family going to the store to pick up a copy of Good Housekeeping. Below that is the article that the family was featured in. 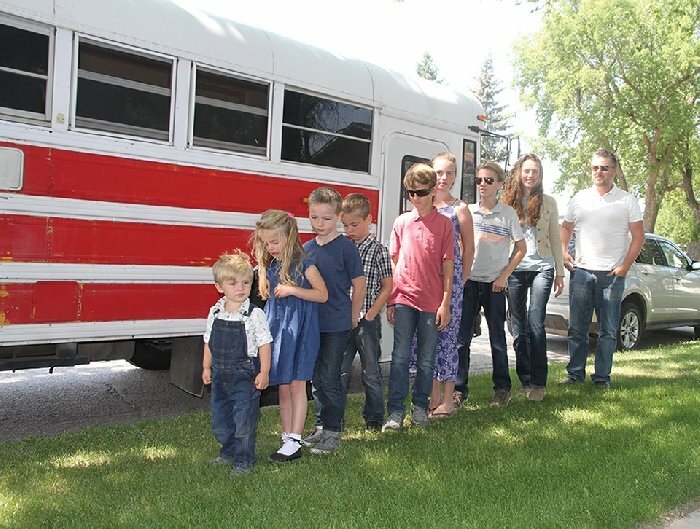 The “skoolie’s” interior is highly compartmentalized. The rear is a 7 -foot-long bed where the couple sleeps and everyone snuggles for movie nights. Above-bed cabinets store clothes (each child has a few outfits), and the hallway is anked by two sets of bunk beds for five kids; the two middle boys sleep on the dining table, which converts into a bed. The full kitchen, which has a deep sink that doubles as a baby bathtub, allows Julie to whip up meals from scratch. All nine Goods share one toilet and shower, though there is also an outdoor shower. Clutter is kept to a minimum: Each of the younger children has a decorated oatmeal container for storing Legos and other toys. “Once in a while I’m tempted to go shopping, but I’ll talk myself out of buying things,” Julie says. Depending on their plans, the Goods drive all night or park and sleep under the lights in a supermarket parking lot. If the couple leaves on foot to run an errand, the kids may surprise them by tidying up. “A small environment gets messy, but seven pairs of hands can clean fast,” Julie says.